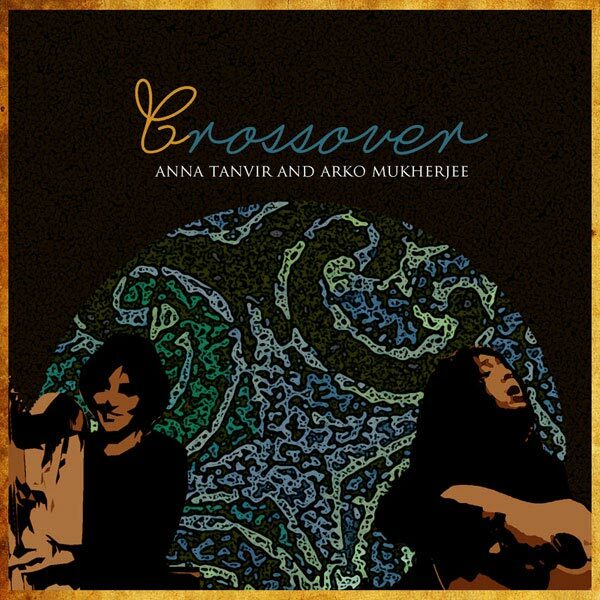 The musical exchange between Anna Tanvir and Arko Mukherjee reflects multi­cultural society across the world today. In the musical journey they take together, we hear influences of folk traditions from around the world, that have been absorbed and re­invented into a new acoustic sound of the future in which we can nevertheless hear the traces of our own roots. Baul, Fakiri, Rabindra­sangeet, Bangla oldies, and other folk styles from Bengal and other parts of India, mixed with Irish, Scottish, and English folk­tunes, gypsy melodies, songs from Madagascar and Latin America; the project brings out the universal oneness across the world. The two singers also perform their own compositions in English and Bengali, and like to feature extraordinary musicians from around the world. Crossover has played concerts and festivals in France and England between 2012 and 2015. Barista is a world folk music quintet based in Loire valley, France. It took it’s shape in 2013 when Anna and Arko decided to collaborate with with French gypsy jazz musicans Alexandre Voisin(double bass) and Yann Beaujouan(gypsy guitar) and Arko’s bandmate from Fiddler’s Green and a renowned Afro-Cuban/Indian percussionist from Kolkata, Ritoban Das a.k.a. Ludo. Barista has played a series of concerts and festivals in the summers of 2013 and 2014 in France.